Welcome to Commodore 1 located in Depoe Bay! This gorgeous condo has two bedrooms and two baths, perfect for accommodating up to four guests! You'll have amazing views of the Pacific Ocean from this first floor condo, both inside and out! Feel free to explore the grassy area overlooking the Pacific from this cliff side rental home! Step inside Commodore 1 and you'll find a beautifully decorated rental that you'll want to frequent again and again! There's plenty of space to lay out and relax in the living room, and you'll have a gorgeous view of the water outside of the large bay windows, along with plenty of natural light during the summer months. Enjoy some movies on the large flat screen TV and stay warm with the fireplace during the stormy winter months. You'll find the back door leading outside right off the living room, along with the dining room table and kitchen. The kitchen has everything you need to make a homemade meal or you can enjoy some take out at the dining room table. The first bedroom offers a king size bed while the second has a queen size bed, making this rental perfect for a visiting family of four to enjoy! The first bathroom offers a shower while the second has a shower and tub combo, good for bathing small children while here on your stay! 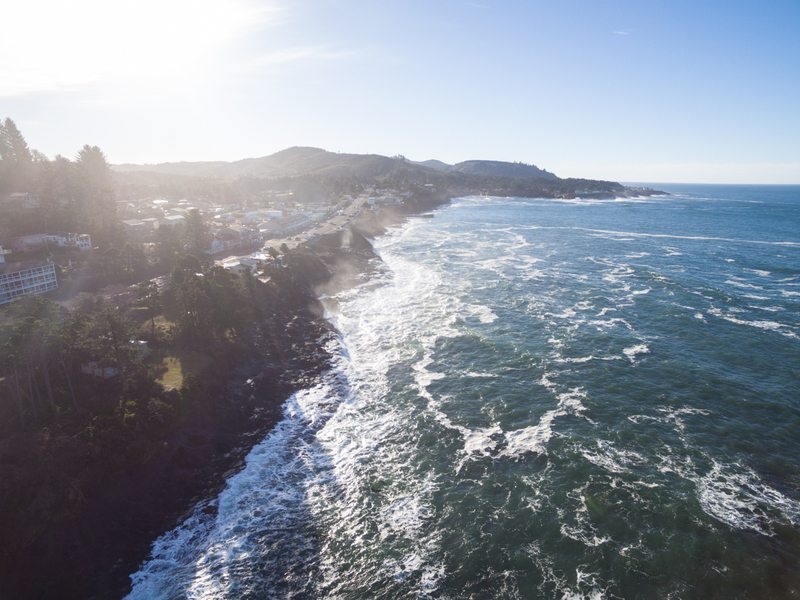 While in the Depoe Bay Area, be sure to visit the shops along Highway 101 for food and souvenirs, and maybe even go out on a whale touring ship while you're here! Book your stay at Commodore 1 today with Oregon Beach Vacations! Beach Access: From the condo you will have to drive to the nearest beach access will be going North on Highway 101 to a State Park called Fogarty Creek State Recreation Area. "It was very convenient and the condo was very nice. " "Hello Beth, Thank you for your review. We are glad to see that you enjoyed your stay at Commodore 1 in Depoe Bay! We hope to have you stay with us again soon! " "Nice area and close to restaurants and a nice coffee shop. If you stay here walk to the end of the street (towards the ocean) and out onto the cliff trail. Beautiful. We watched whales while sitting on the rocks here. The unit is the closest to the street, but there are blinds to block out the lights, and the bedrooms are on the other side of the unit, so sleep was not disturbed. We enjoyed the homelike atmosphere. We go to the coast often (about 2X a month), and my husband and I both thought this was the best rental to date." "Hello Jayne, Thank you for your review. We are pleased to hear that you had a great stay at Commodore 1! We are happy that you were able to explore Depoe Bay to its fullest and enjoy everything in the vicinity. We look forward to hosting you again soon on the Oregon coast!" "The unit is comfortable and spacious. Great view across the bay looking south. Felt quite private. Comfortable bed in main bedroom. Easy walk to shops in Depoe Bay and to State whale watching center. " "Hello David, Thank you for your review. We are happy to hear that you enjoyed your stay at Commodore 1. It sounds like this unit was roomy, comfortable, and very private. We are glad to know that you were able to get out and explore the Depoe Bay area while visiting the Oregon coast. We hope to have you stay with us again soon!" 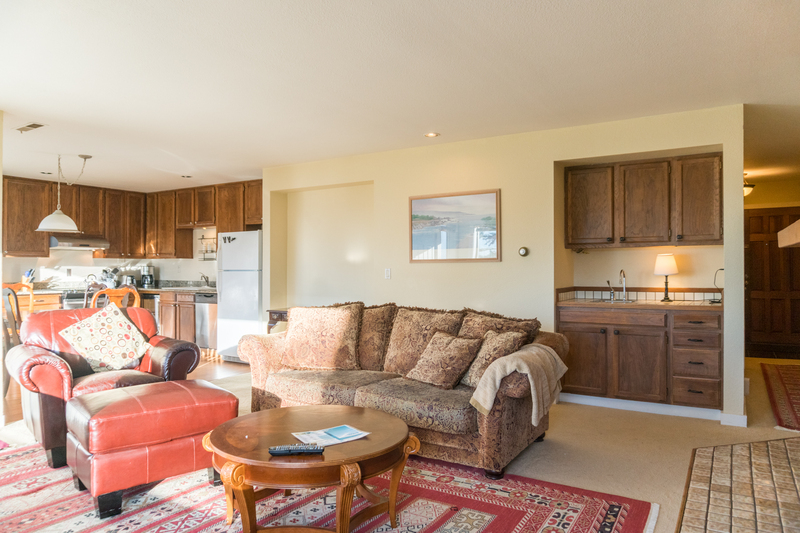 "My husband and I stayed here for a week in May 2018 and greatly enjoyed the condo. 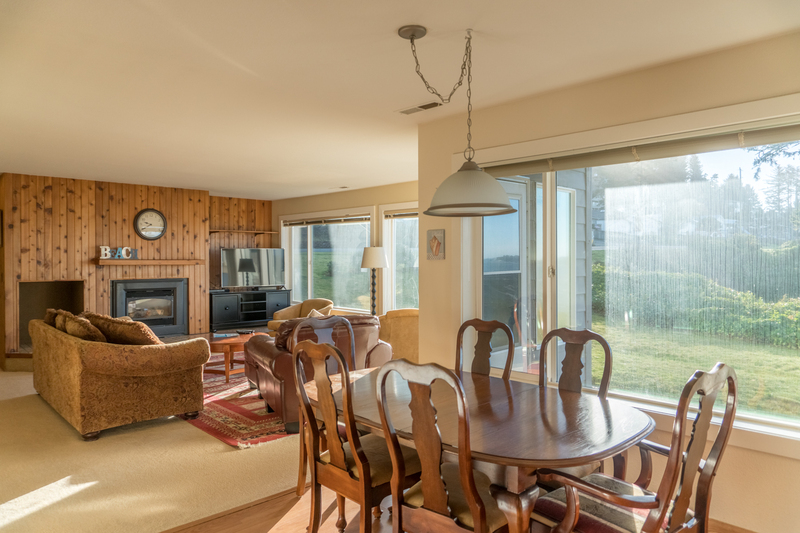 Was spacious and had large windows overlooking the harbour so that we could watch the grey whales comes in everyday for feeding from the living room and the kitchen. The condo had everything we needed however it was sparse for mixing bowls and large pots as we had all of our meals at the condo. The condo is located about half way between Lincoln City and Newport (each 20 minutes away) where we did our shopping. My husband played two local golf courses while I enjoyed the outlet mall in Lincoln City. There are lots of lovely beaches and state parks within minutes of the condo as well as a seal harbour. We had a wonderful time and would stay here again. " "Hello Cal, Thank you for your review. We are so glad to hear that you enjoyed your stay at Commodore 1! We will put in a maintenance order for more mixing bowls and pots for the unit. Thank you for bringing this to our attention. We hope to see you and your husband back again soon on the Oregon coast, and thank you for your review!" "Loved the rental. Very clean. Great location. Great view. Saw whales from the living room window! Only concern was the small leak in the master closet. " "Hello Tricia, Thank you for your review. We are so glad to know that you had an amazing stay at Commodore 1! It sounds like you were able to truly soak up the Oregon coast. We will look into getting the leak in the master closet fixed. Thank you for bringing this to our attention. We hope to have you stay with us again soon!" 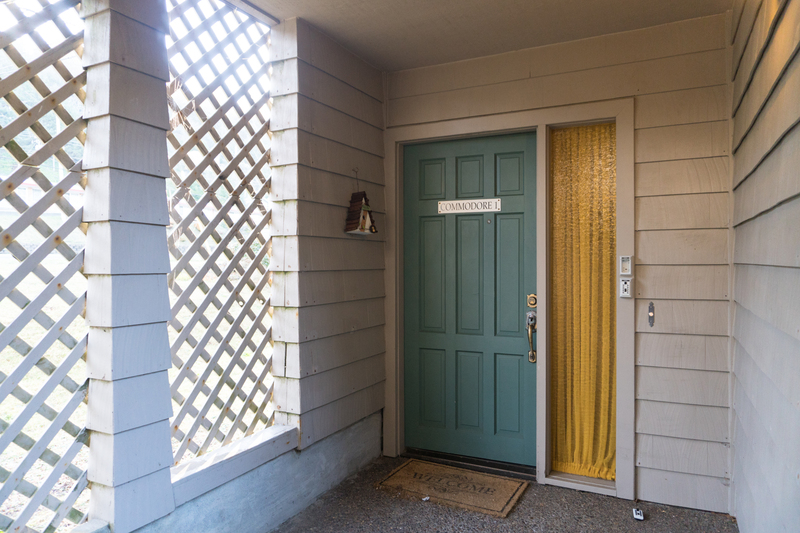 "We just had a wonderful and relaxing stay in Commodore 1 at Depoe Bay!The condo is beautiful and comfortable and is well stocked for just staying in, but so close to go out to eat or wander Depoe Bay. The view is amazing - its quiet and relaxing and we loved it and will definitely go back. We spent hours each day watching numerous whales in the bay below. " "Hello Terry, Thank you for your review. We are glad to hear that you enjoyed your stay at Commodore 1. 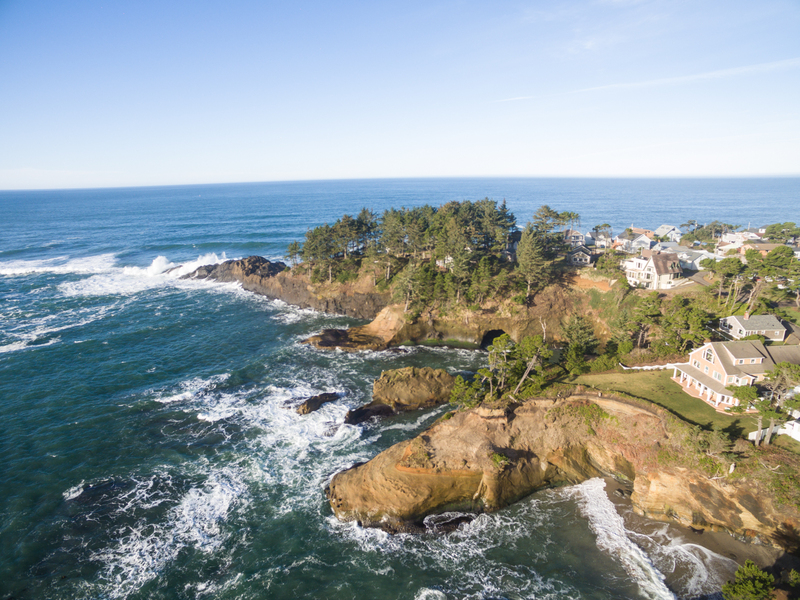 It sounds like you had an amazing visit and got to see a lot of what Depoe Bay has to offer! We hope to have you stay with us again soon!" 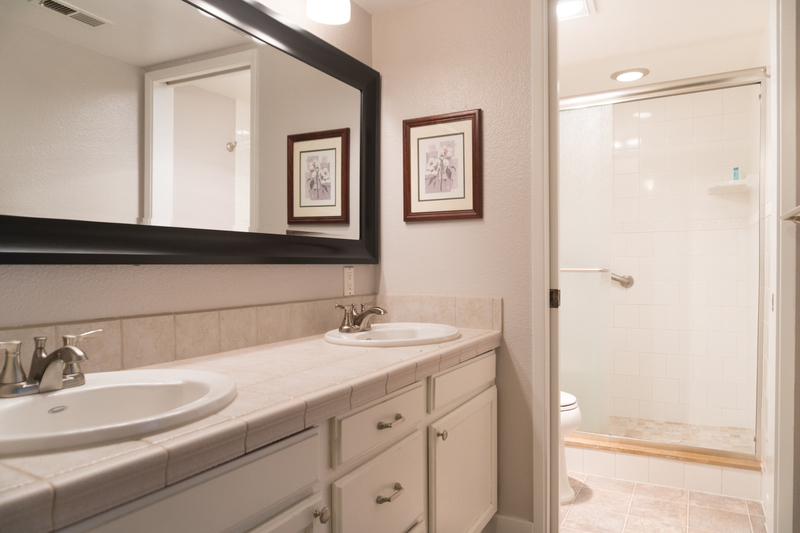 "We really like a place that is clean and comforatable, this place was that and fit the bill well. Instructions were easy to understand and everything was as advertised.The little beach just below the place was quite a bonus. Walking distance from everything and thats a big bonus here.We will be back again." "Hello James, Thank you for your review. We are glad to see that you enjoyed your stay at Commodore 1. It sounds like this location was perfect for everything you needed. We look forward to having you stay with us again!" "Matress was not good and front room furniture need replacedVery good location"
"Hello Diaa, Thank you for your review. We are glad to hear that you enjoyed your overall stay at Commodore 1. We are sorry to hear that some of the furniture needs to be replaced. We will reach out to the owner and see if they are willing to update these items. Thank you again for your review." "Had a great time awesome weather." "Hello Don, Thank you for your review. We are glad to hear that you had a great time at Commodore 1. We hope you'll come back soon to enjoy the Oregon coast weather!" "We were surprised at how close the suite was to the highway, but we didn’t notice it much once inside. The condo was awesome - great set up, comfortable king bed, adequate kitchen supplies. We were disappointed that we were not allowed to cook crab (due to “lingering odours”). Maybe supply a BBQ so we could cook crab outdoors? The construction did not really effect us. Loved seeing whales from the condo." "Hello Laurie, Thank you for your review. We are glad to hear that you enjoyed your stay at Commodore 1. It sounds like you were able to have a lovely time, aside from not being allowed to cook crab. We can certainly look into asking the owner if they might buy a BBQ for guest use. Thank you for bringing this to our attention. We hope to have you stay with us again soon on the Oregon coast." "We had a nice visit to Depoe Bay and Newport.General condition of the unit was adequate but not what I have come to expect from units in this price range on the coast. The furniture was worn, there was a pot in the closet collecting water dripping from the ceiling, there were doorknobs missing from the doors. The Venetian blinds in the bedroom were broken and the ones in the living room were unusable because they were threatening to fall down. There was a rug in the living room that was a serious safety (tripping) hazard. The kitchen was stocked with a random assortment of pans and cookware plus two coffee makers (one didn't work) but no coffee filters. The only condiments were a pepper grinder that didn't work and a half empty salt shaker. There were lots of wine glasses. We were not able to get the TV in the bedroom to actually show any content.The location was convenient. The view was quite nice as depicted in the picture. The unit is right next to Highway 101 but traffic noise was not too objectionable.The property was adequately clean.We had no dealings with the management company. The checkout instruction said to put all trash in the garbage receptacles outside the unit, but there were no observable garbage receptacles anywhere on the property.I would recommend this unit to a friend with reservations. There are better places in Depoe bay." "Hello Jeanne, Thank you for your review. We are glad to see that you enjoyed your overall stay at Commodore 1. We looked into the issues you experienced with this unit and it seems most of them have since been taken care of so thank you for bringing them to our attention. As for the other unresolved issues, we will look into getting them repaired for future guests. We would have loved to help with these problems during your stay. We see that you did not contact our office about any of the problems you encountered during your trip. We would have sent maintenance out to resolve what we could so that ou could have enjoyed your stay a bit more. Thank you again for your review, and we hope to have you stay with us again in the future." "Very small but cozy. Coffee pot did not work. Saw the whales all day and evening." "Hello Bryan, Thank you for your review. We are glad to hear that you enjoyed your stay at Commodore 1. We are sorry that the coffee pot did not work for you. We have bought a new coffee pot for this unit. Thank you for bringing this to our attention. We hope to have you stay with us again in the future. Thank you again for your review." "The condo itself was satisfactory. I was in Comador 1. Because I signed a release with VRBO I cannot get into details, however I would suggest you always confirm that there is no major construction going on if you choose to rent through them." "Hello Mike, Thank you for your review. We are sorry to hear that you did not have a good stay at Commodore 1 due to construction issues it sounds like. We hope that you'll stay with us again in the future though. Thank you again for your review." "While the decor was pleasant (if with worn furniture) and the unit is next to the highway (expected), there were several safety concerns we have about the unit. There were also odd problems, as listed below. KITCHEN-a hole in the wall partially covered by a blank outlet cover (perhaps access to the under cabinet lights which did not work and we never found a switch?) Microwave powered by an extension cord draping to an outlet under the window-child hazard. Floor-length blind cords, also child hazard. Knives VERY dull w/o sharpener or steel-dangerous to ANYBODY. Living room-apparently new runner and area rug-ends not fastened down. After tripping several times, and anticipating the visit from an 85 y/o elder, we finally rolled up the runner and put it away for the duration, also placed a heavy chair on the corner of the area rug as a warning. Four exposed wires in the corners (approx 1 foot long) turned out to be severed speaker wires, requiring a visit from maintenance for confirmation. Loose section of blind cover left in the area. Carpet soiled with (grease?) spots. Blind cords also reaching to floor. Master bed/bath-walkin closet had a moderate-sized hole in the ceiling dripping water,, "cured" prior to our arrival by the placement of a kitchen saucepan. The shower head mount is unsecured. The TV also has dangling power cords - child hazard. The loose laundry room door handle had been inexpertly "mended" by using a block of wood and nails - loose and likely to be pulled out. In short, although the unit could be quite nice, the safety issues and inexpert maintenance means we could not recommend it for anyone with children or elders in their party. The highway noise was surprisingly unobtrusive. We were able to adequately prepare a family birthday celebration with the precautions cited above. With the exception of the carpet, housekeeping was pristine, as we would expect from OBV. The unit could use some basic housekeeping tools, such as a broom/dustpan, etc."